The Acavallo Shaped Gel Pad & Front Riser is a three-in-one gel saddle pad which combines a built in front riser with the non slip and shock absorbing properties of an Acavallo Shaped Gel Pad. The anatomically moulded gel helps support the saddle in front with a low profile ideal for use under close-contact saddles and where the fit is too low over the withers. 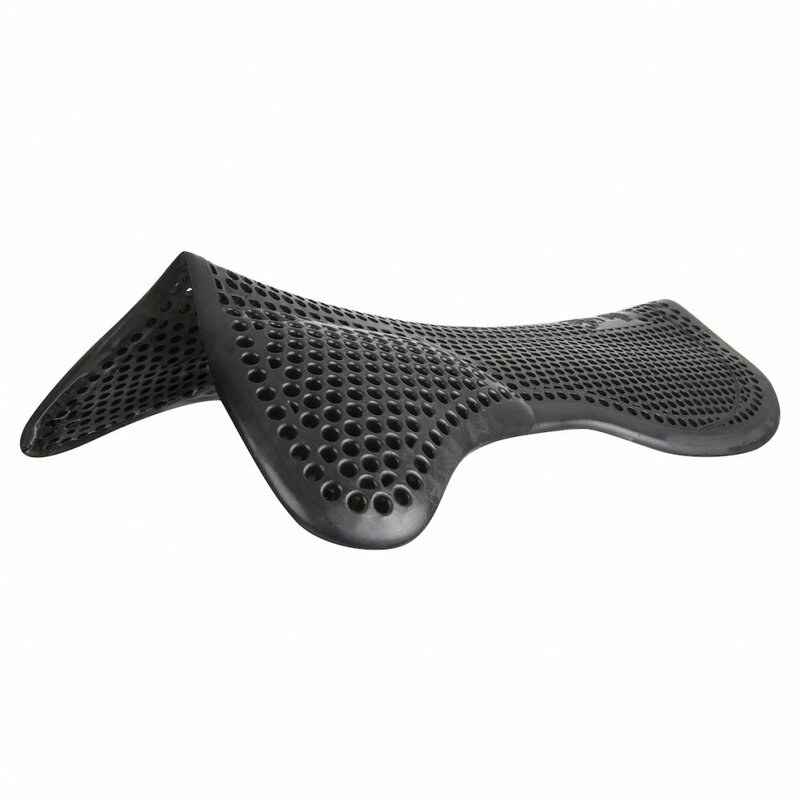 The unique structure of the gel allows natural compression that conforms to the saddle shape and allows air to move away from the horses back.